This entry was posted in Downtown, Library, Pic of the Day and tagged Westport Library Riverwalk. Bookmark the permalink. Lynn, this makes my day. 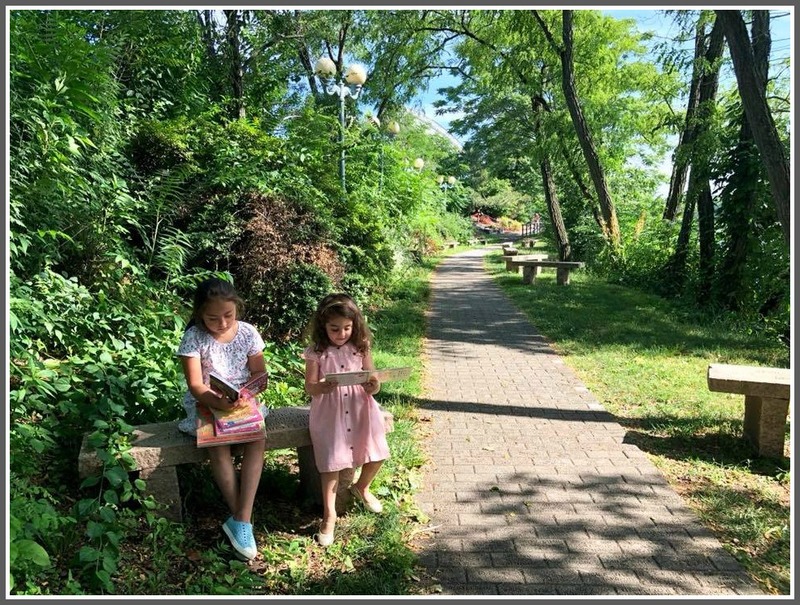 I’m very happy to see kids engrossed in real books instead of their iPhones or iPads (and in such a beautiful setting no less). You should enter this in a contest.